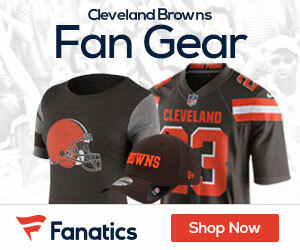 Browns nose tackle Shaun Rogers will be placed in a 12 month diversion program during his arraignment Thursday in Cuyahoga Common Pleas Court for having a loaded handgun in his carry-on luggage according to Mary Kay Cabot of the Cleveland Plain Dealer. He will also be required to complete a 10-hour weapons course and 40 hours of community service. The charges will be dropped after completion. “Shaun is appreciative of the consideration he received in this case,” said his attorney, Patrick D’Angelo. “He understands this is a serious matter, and he wanted to assure everyone that he did not act intentionally in this case. I’m hopeful and confident that Shaun will complete the program successfully and that this will be expunged from his record,” said D’Angelo.